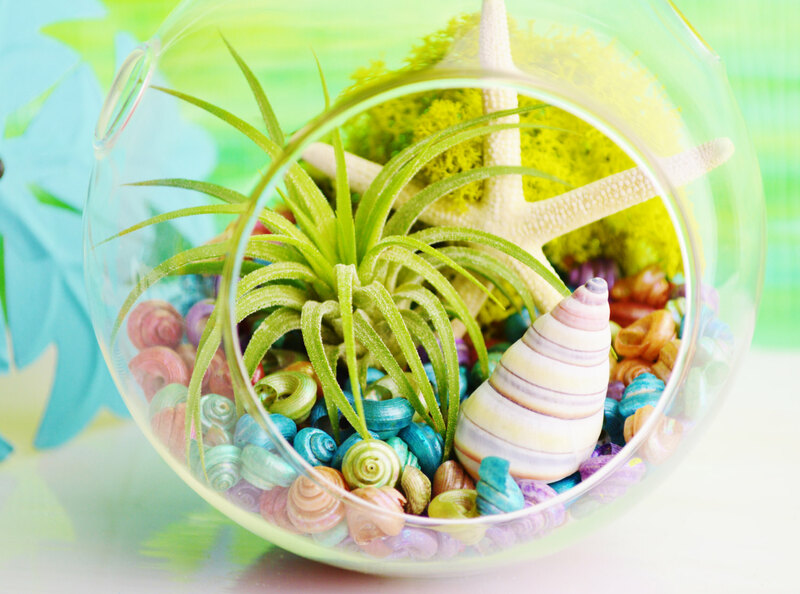 The summer season is just a few weeks away and you might be already dreaming of golden sand beaches, sparkling blue sea and lush fresh greenery. 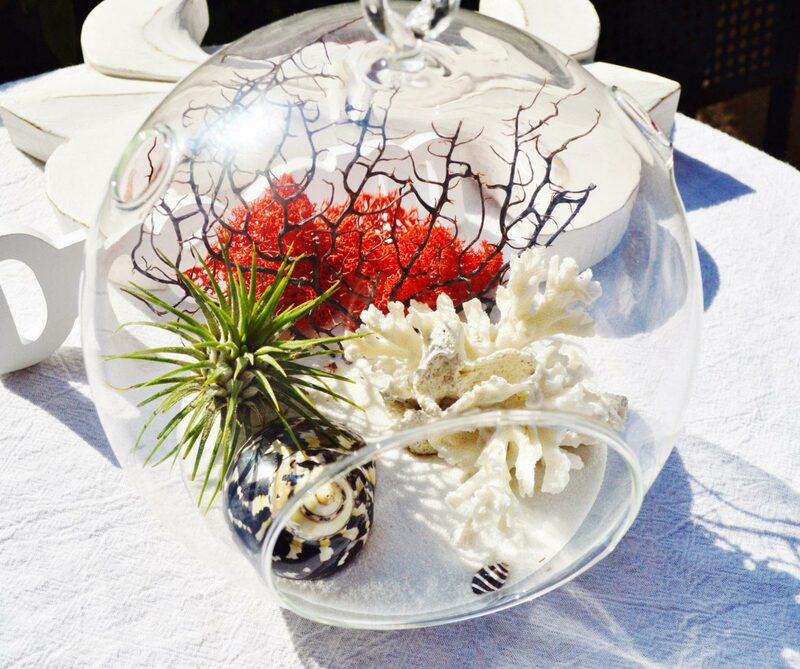 Well, you don’t need to wait for the season to come to feel the exciting summer vibe! 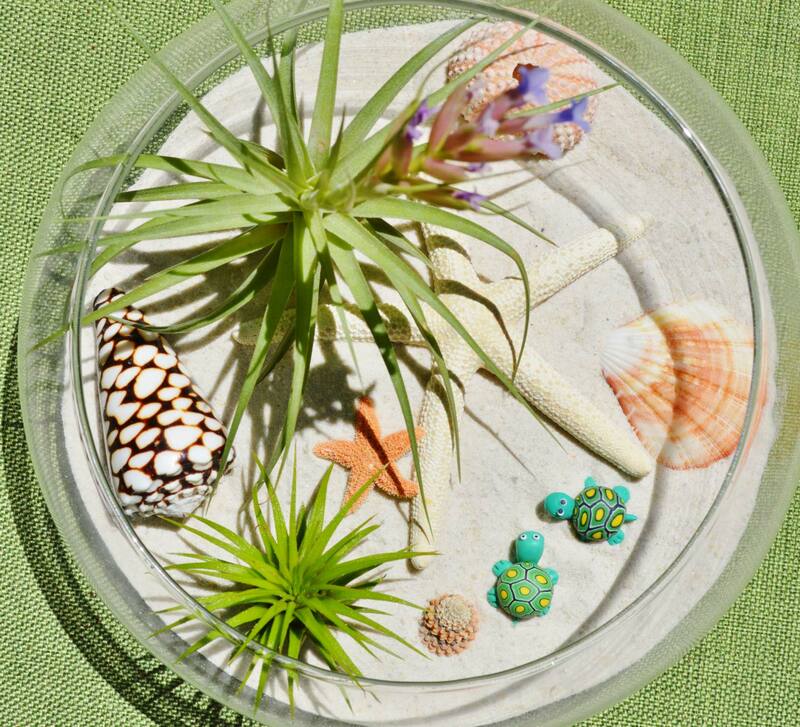 You can have it all beautifully gathered and displayed in the beach terrariums created by BeachCottageBoutique. 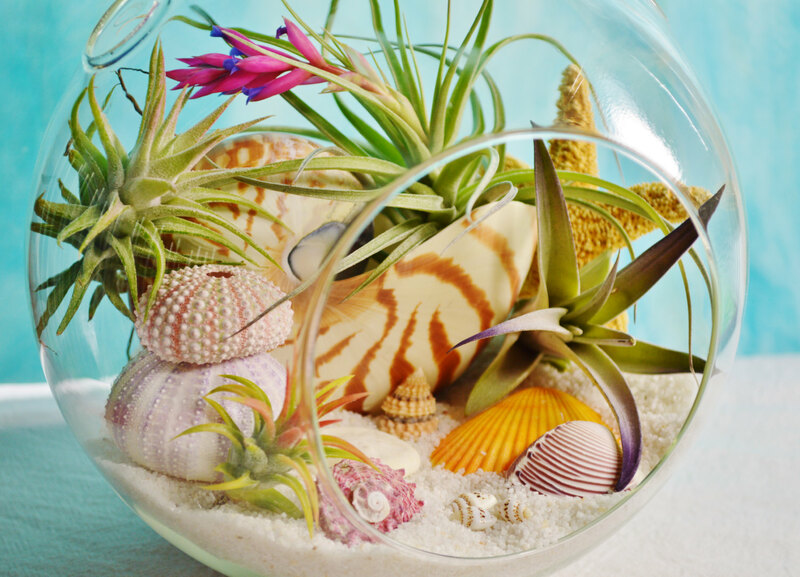 Each of these captivating miniature worlds is created with love for the summer, featuring a unique beach terrarium kit arranged in a glass container. 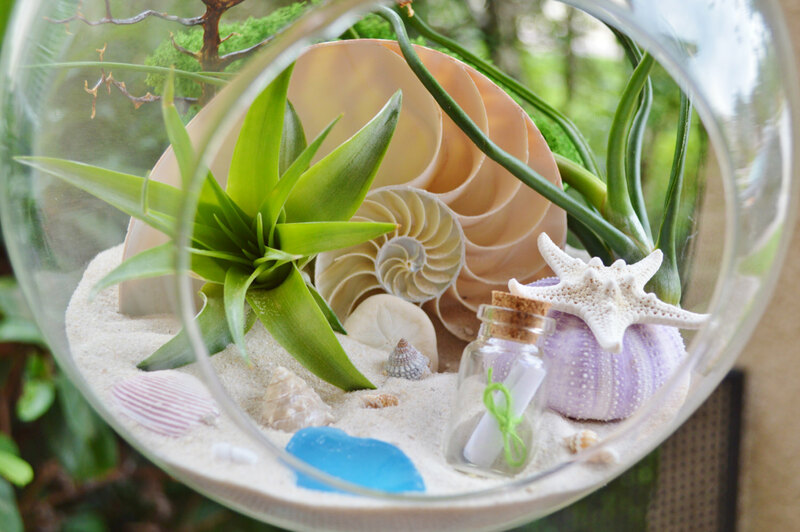 You can enjoy a large variety and diversity of compositions displaying the beauty of the ocean, the beach and summer nature. 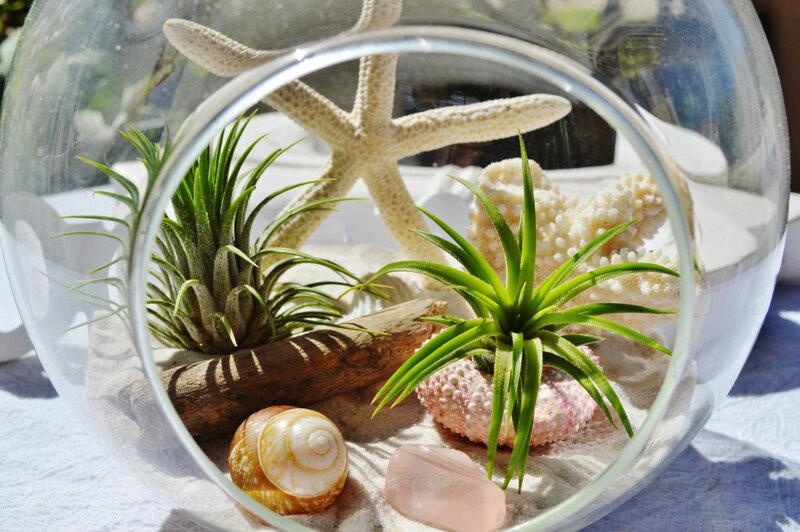 Pearly seashells, delicate starfish, sparkling sea glass and various tiny sea-theme decorations are artistically arranged on a bed of soft beach sand, little river pebbles and moss. 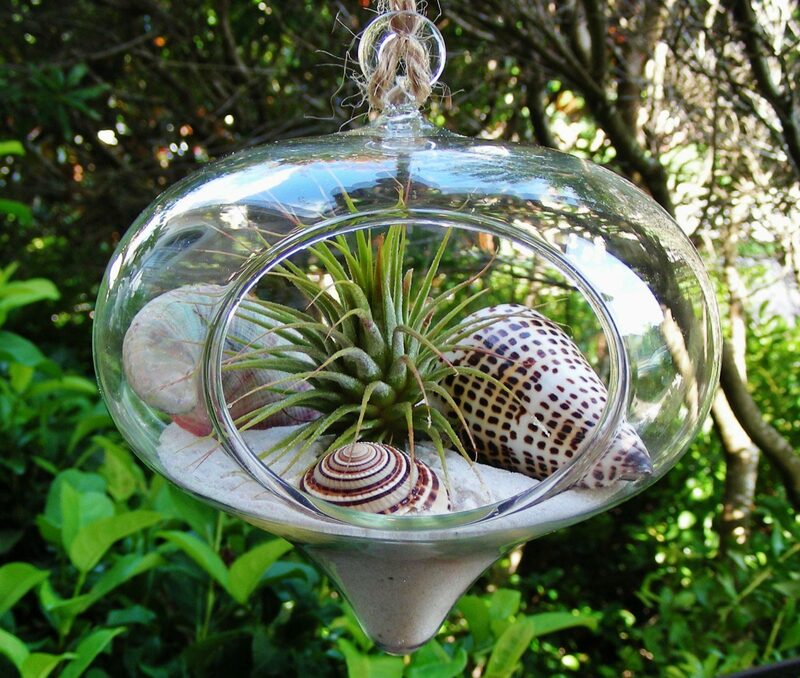 Lush green terrarium air plants and colorful fan corals are added to create mini-landscapes of magical tropical beauty. 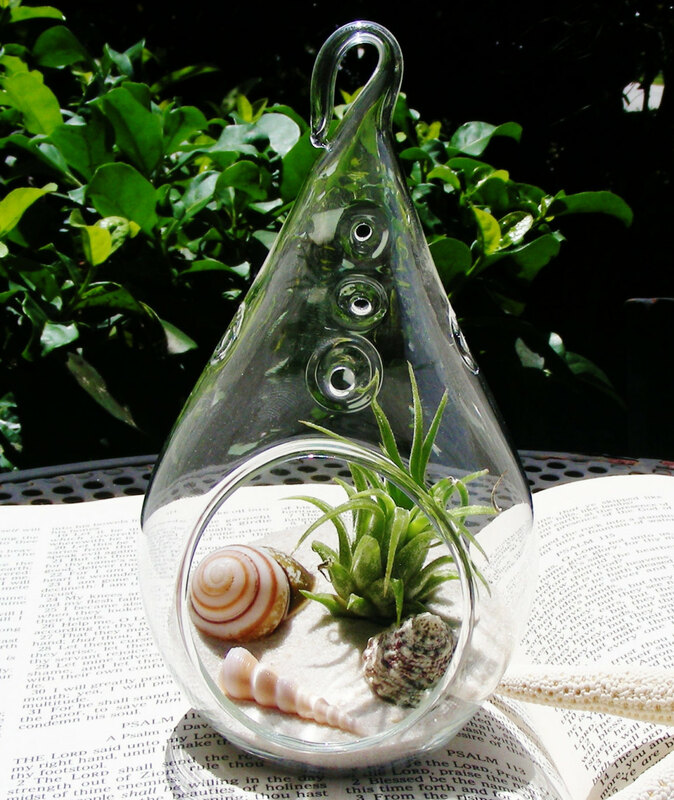 The beach terrariums are presented in a wide variety of transparent hand-blown glass containers of various shapes and sizes – globes, cylinders, bowls, and even teardrop and heart shaped orbs. 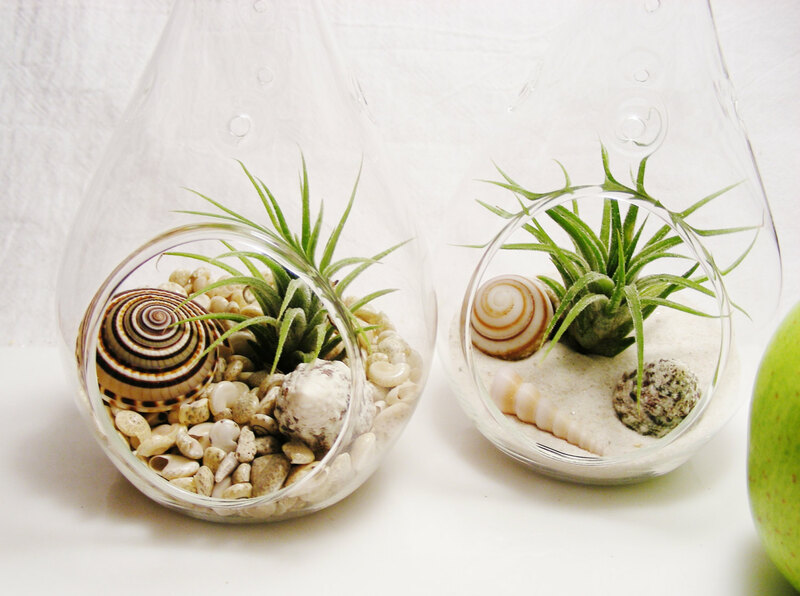 You can place any of them as a beautiful decorative piece sitting gracefully on the table, the mantelpiece, the desk, and any other well-lit spot at home. 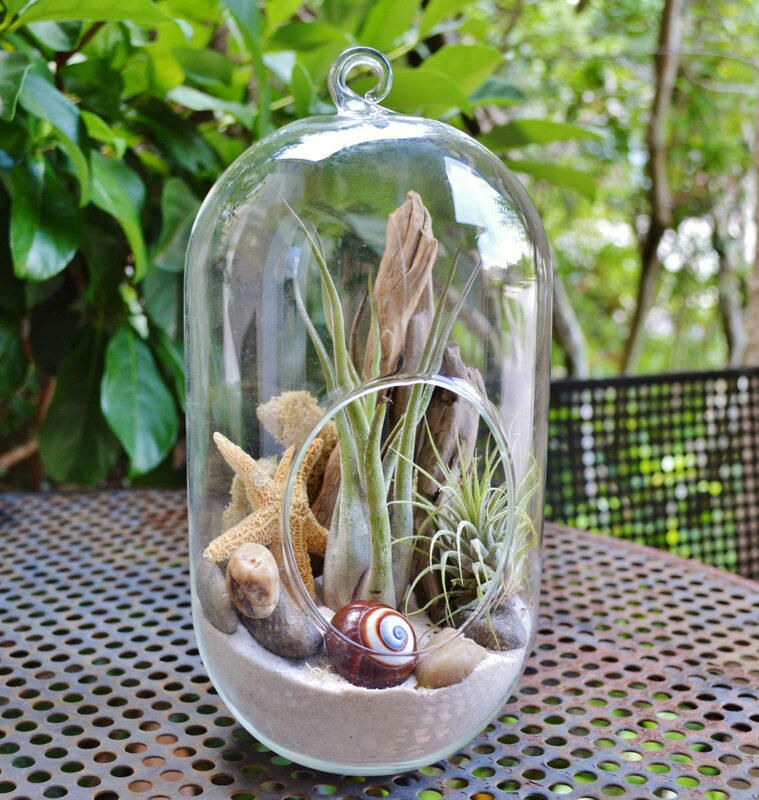 Many of the containers are crafted with a little loop at the top allowing you to hang the item and have yourself a most amazing hanging glass terrarium. 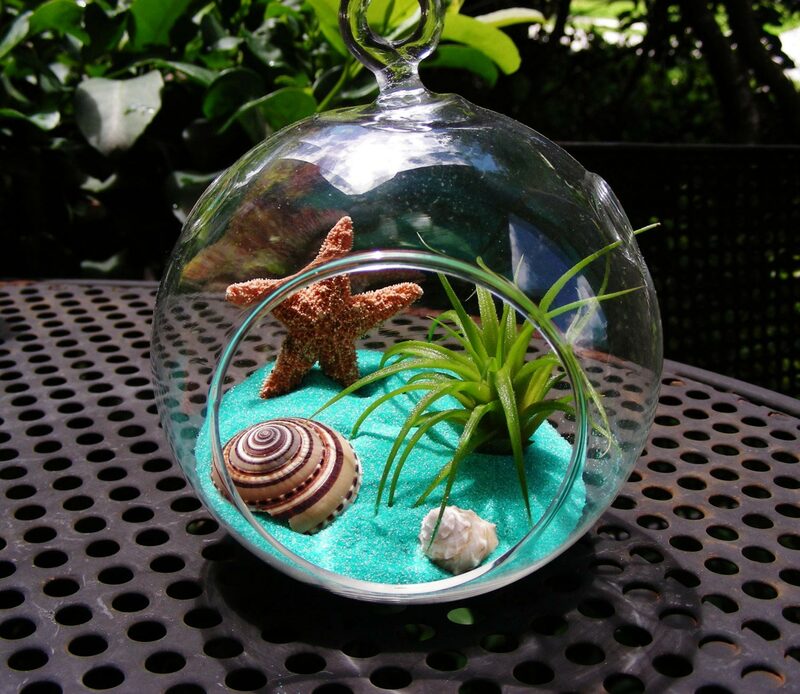 The beach terrariums are easy to maintain and you can enjoy their beauty all year round. 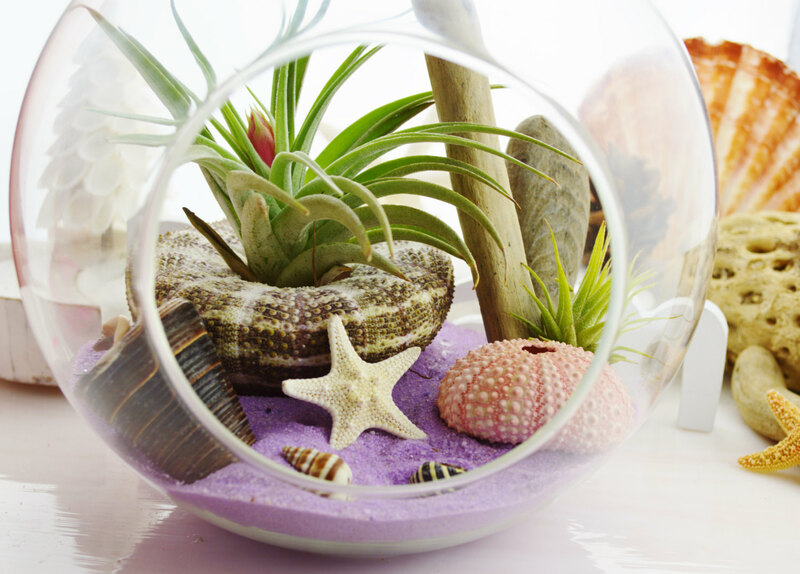 Add summer vibe to your space with an eye-catching beach terrarium!